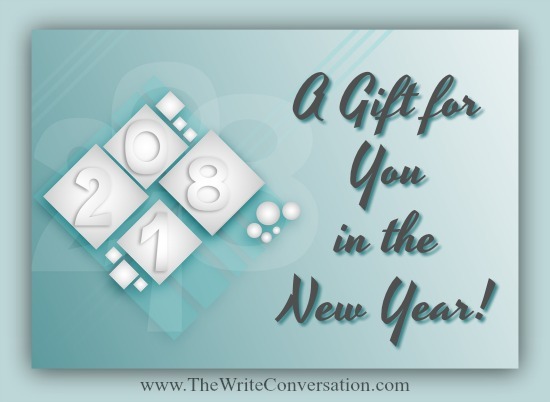 A Gift for You in the New Year! I know, I'm a day early. But I have a present for you and I'm so excited to give it to you that I can't wait until New Year's Day. 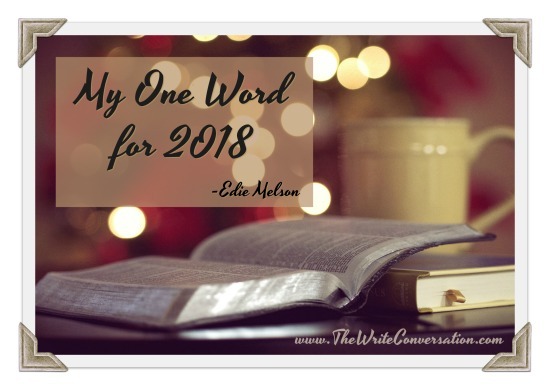 Since we're nearing the end of 2017, I thought I'd share my One Word for 2018. This is the time of year where we reminisce about last year, looking at both the good and the not so good. 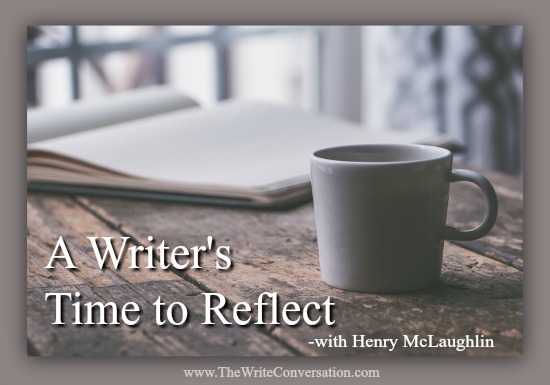 Do we take the time to reflect on both areas? 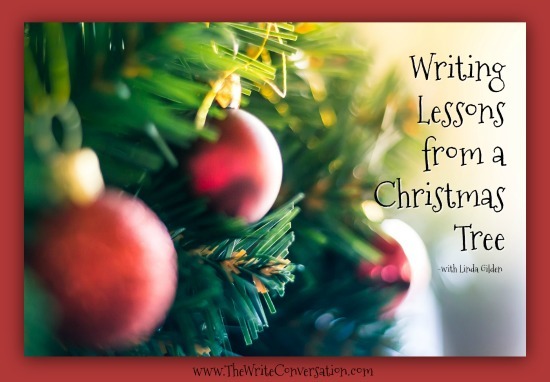 Do we try to figure why the good was good and what did we do to make it happen? Do we look at the not so good and see if there’s anyway to prevent it from happening again? 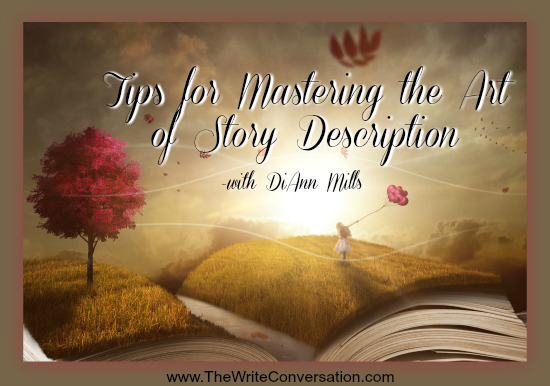 Mastering the art of description is an exciting reality of the writer’s life. The writer uses various techniques to show fresh and unusual details through the point of view character. 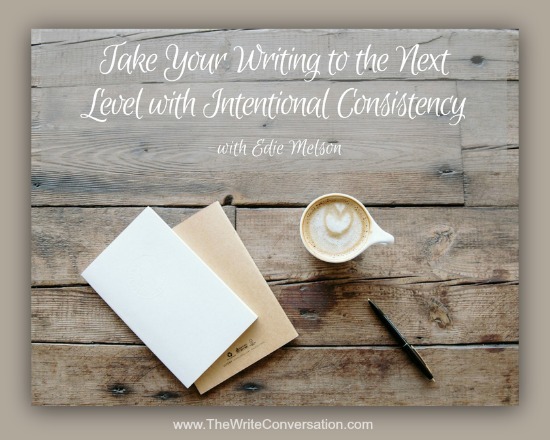 The result immerses the writer and the reader into the story. The adventure begins! 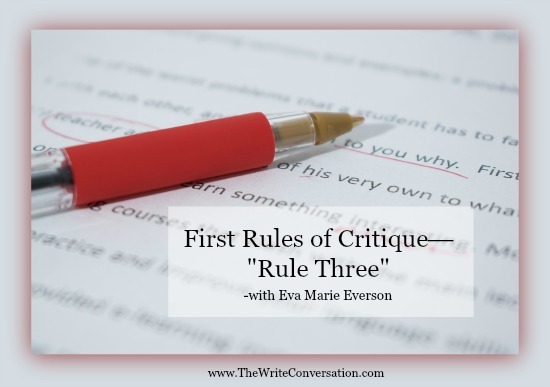 Over the past two months, I’ve written about two “rules” necessary to provide proper critique within a critique group or one-on-one with critique partners. 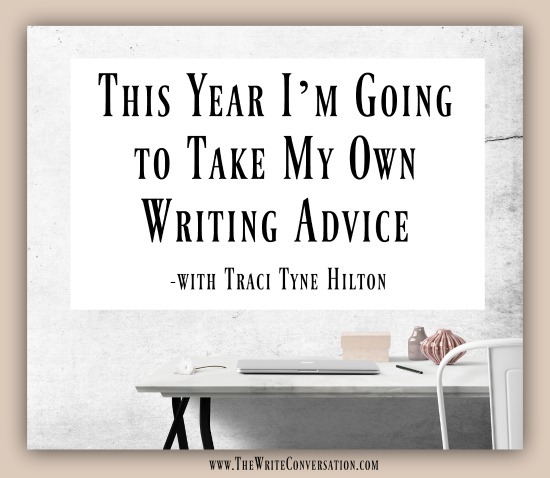 The first rule was to know the writer’s level of expertise. 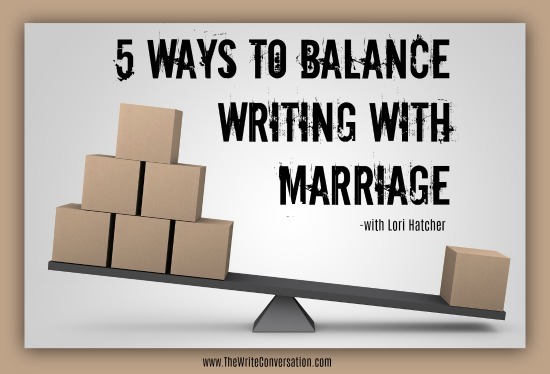 Now let’s take a look at the third rule, which is: Critique the work … not your feelings about the work. 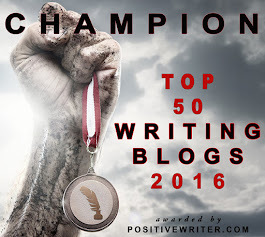 Using writing as a powerful business development tool. 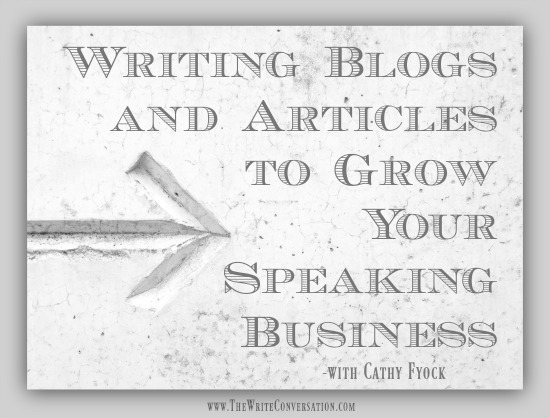 What’s the number one best strategy for growing your speaking business? Wide-eyed fiction writer Mike Dellosso didn’t start out as a writer. More science-minded than literary-minded, he’d been a physical therapist assistant for two years before he discovered the joy of expressing himself through the written word. 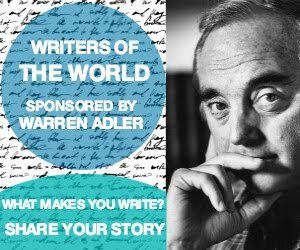 He’d write whenever he could—early in the morning, late at night, and often to the neglect of his wife and children. The title of this post may seem too obvious to merit mention, but I would beg you to stick with me. Life these days is incredibly busy. We’re subdividing our time into smaller and smaller portions, leaving us with just more details to keep track of. 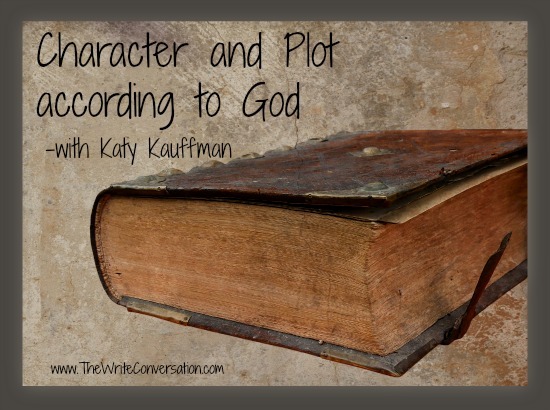 If we were going to write an epic novel that appealed to countless generations of readers, what characters would we create? Would they be dashing or timid? Successful or defeated? A good novelist knows that a protagonist must be an enticing mixture of courage and hesitation, splendid qualities and identifiable weak points. He or she has to be true to life. 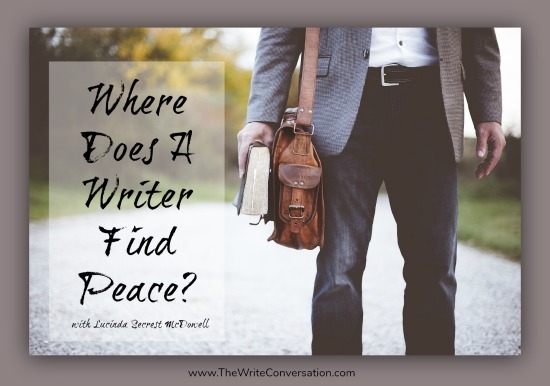 Where Does A Writer Find Peace? 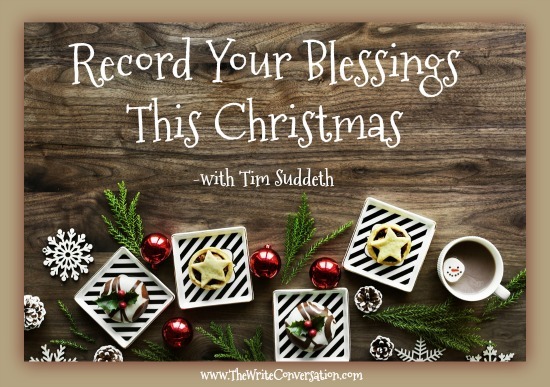 Are you tired of hearing news reports of violence around the world juxtaposed with carols that sweetly echo “sleep in heavenly peace?” Are you ever tempted to respond “Bah Humbug” when someone cheerily wishes you a Happy Holiday? 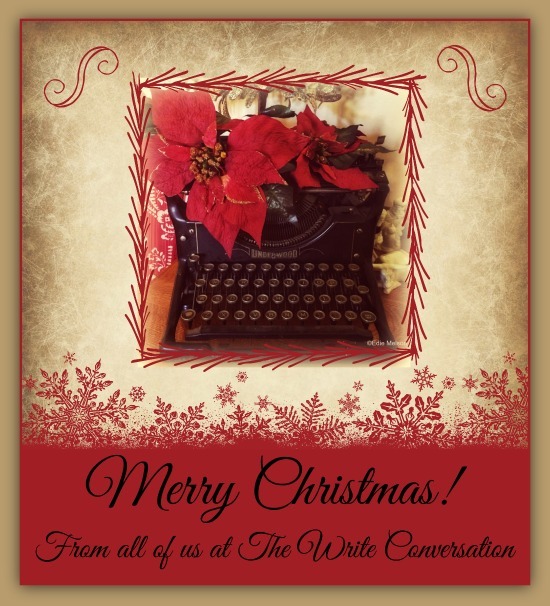 About a hundred years ago, author Henry Wadsworth Longfellow was also despondent on Christmas Day. 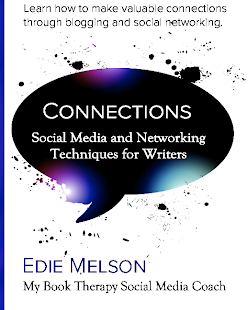 This past year, everywhere you turned someone was offering help on how to succeed with marketing, aka social media. 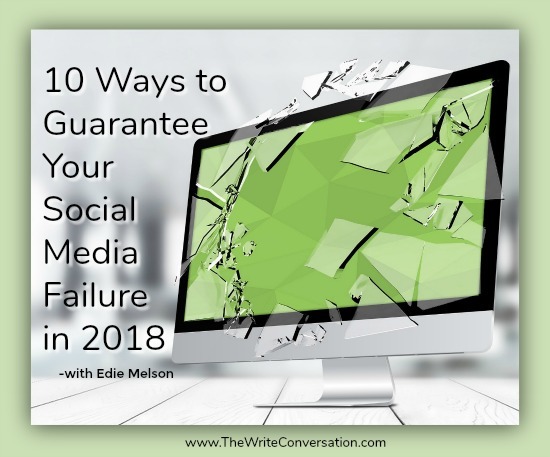 Today I’m going to turn the tables and give you my top 10 ways to guarantee failure in 2018. Every Christmas, under a canopy of stars, we would carry our pajama laden children to the minivan. We’d tuck them into car seats and strap down a television and VCR to provide entertainment during the marathon journey across the country. 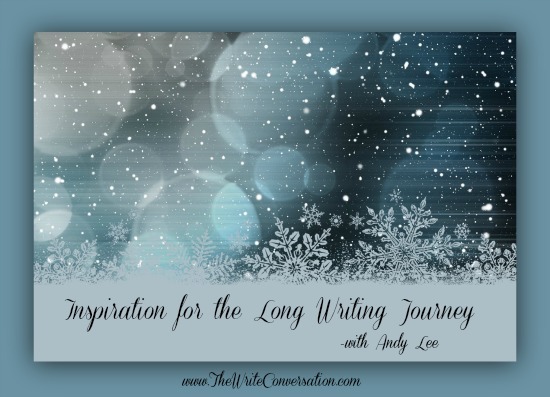 As writers, our tendency to look deep helps us create story energy and innovative characters. We break through imaginary walls and see beyond the ordinary as we unfold story. This also holds true in our own story. At least it does with me. I’ve always loved mysteries, my favorite mystery author being George Simenon who, in my opinion, is the master of brevity. Simenon wrote a masterful series of seventy-five novels and twenty-eight short stories following Inspector Maigret. He inspired me to try writing my own mystery series, which I began in 1981. 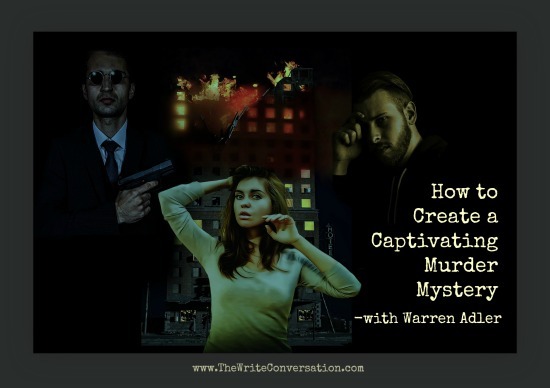 Here I share the top three things you must keep in mind if you want to create as captivating a murder mystery as possible. For years I have collected nativity ornaments. My mother started my collection while I was still living at home and dated each one so I would remember when it was added to my collection. Edie here. Sometimes, I can't help it, I just get it wrong. Cindy sent me this post for November and somehow I managed to put up the post meant for December instead. It's a fantastic post, so I refuse to not share it, but I didn't want you to think she'd missed the timing on this. 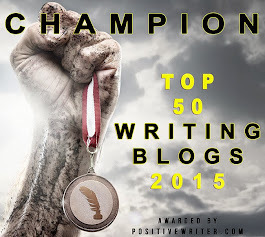 I swore I’d try to never write on a subject that is worn out. You know, the hundreds of devotions making analogies about gardening to their spiritual life? Well, guess what? 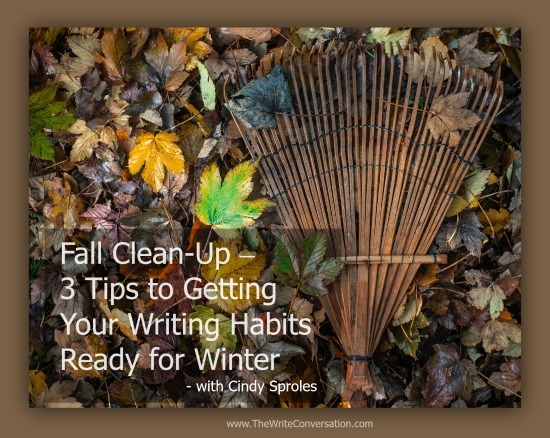 I had an epiphany while cleaning out fall bushes and leaves that will not leave my creative desire to compare it to my writing life, alone. 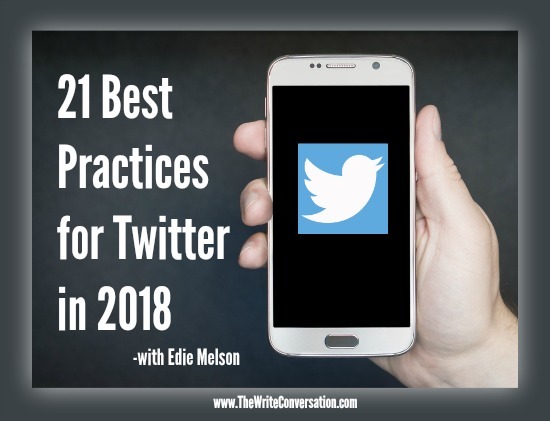 Last week I shared Best Practices for Twitter. 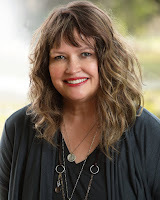 This week I’m following that up with a follow-up post about Facebook. 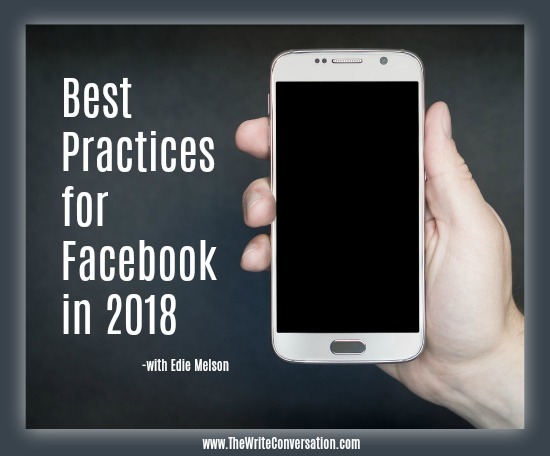 While there haven’t been any major changes lately with Facebook, it continues to make changes and updates regularly—especially in the Edge Rank Algorithm. In Switzerland—Burtigny, to be precise—there is a hill I climbed several times during my recent stay. 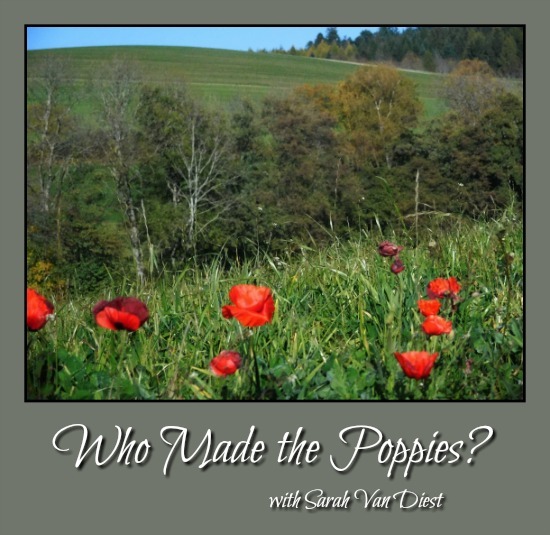 Though autumn had secured much of the landscape, there remained a few bright red poppies blooming on the edge of a farmer’s field. Situated just above this field was a small wooded area with an enticing walking path through the heart of it. It didn’t seem to matter to me if the day was sunny and mild, or cloudy and wet, I still wanted to walk up the hill, venture into the woods if time allowed, and always visit the poppies. I collect Nativity scenes. I don’t have an extensive collection, but I do have a much-loved assortment that includes a hand-sewn cloth Nativity that little hands may play with. I also have a treasured olive wood set from my mission trip to Israel in 2000, when my husband and I chaperoned a high school trip that our son went on. 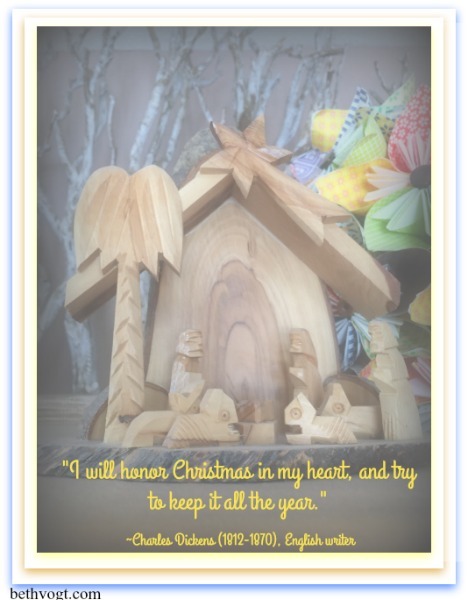 My husband and I brought back matching Nativity sets for each of our children, including our then-to-be-born “caboose kiddo,” Christa, who arrived later that year on Christmas Eve. 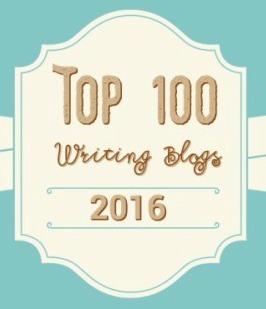 Will You Nominate THE WRITE CONVERSATION Again for the Top 101 Writing Blogs? Will you recommend The Write Conversation as a Top 101 Writing Blog? This year I'm doing something different. 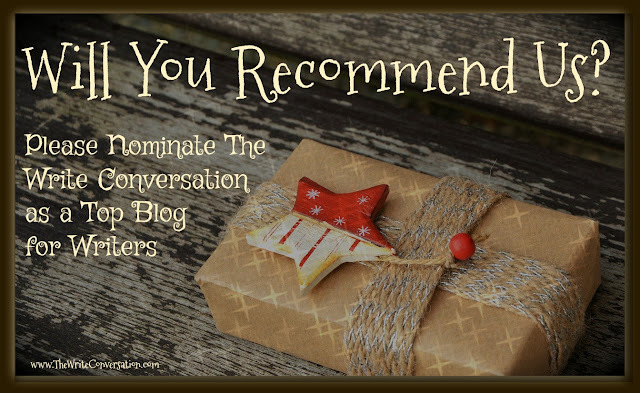 I'm asking for a present from you—our loyal blog readers. It won't cost a thing—I promise! 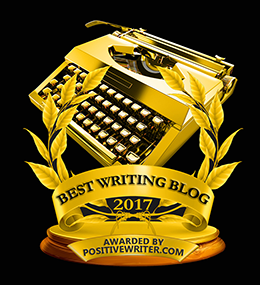 The team and I here at The Write Conversation are working hard to provide information to help equip you to follow your writing dream. 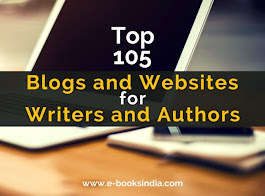 We have a dream too, it's to be listed in the Writer's Digest top 101 Writing Blogs in The Write Life's 100 Best Websites for Writers. 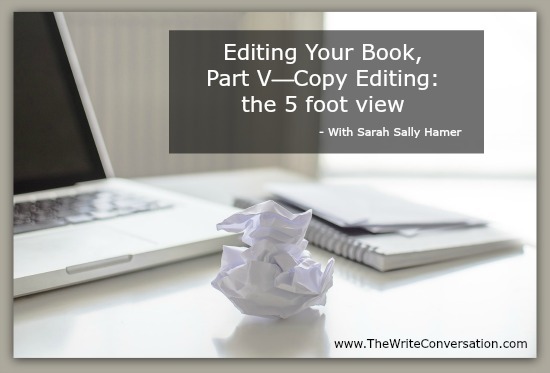 Each type of editing offers an opportunity to look at a manuscript from a different place, and for different reasons. Today, we work with Copy Editing (CE). It’s a December ritual—looking back on the current year and considering all the possibilities for the next. We celebrate, make resolutions to do better, and dream of what the new year could hold. However, statistics tell us that only 9.2% of those who make resolutions will achieve their goals. I don’t share that to deter you. I list it so we know what we’re up against and can make a plan to overcome it. 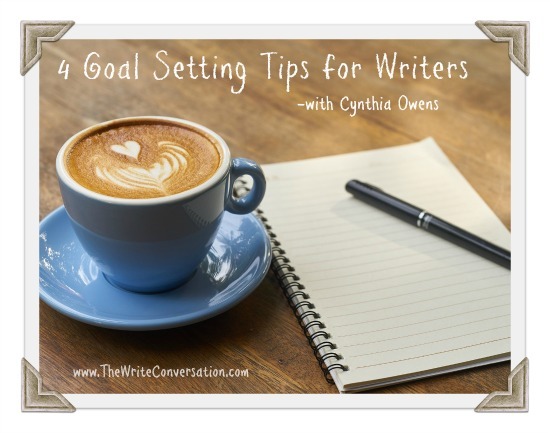 There are a lot of articles about how to achieve goals, but today I want to share four lesser known tips that have actually worked for me. There has been a huge change with Twitter recently—Tweets are no longer limited to only 140 characters. Instead you can use up to 280. The question is, should you? There are other, less obvious, shifts in the Twitter universe as well. Those feed into how we should approach the length of our updates. Instead of length explanations, I’m going to share a list to help navigate this new paradigm. Do you ever wonder why words have such power? As writers we are obsessed with them. We dream about them and parse them while we are awake. 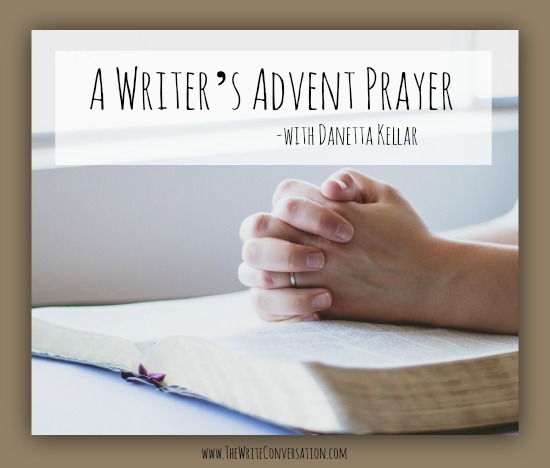 We endlessly fixate on synonyms and sit at our desks deeply preoccupied with finding just the right word to express the ideas that surge like lightening through our spirits. Words may just be the most powerful force we wield. Yes, love is powerful. 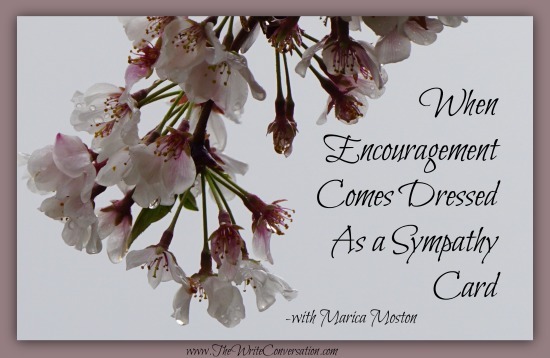 Compassion is transformational. Generosity can be revolutionary. But words are the pen with which God engraves value and meaning upon the human heart. The holidays can be festive, magical times. 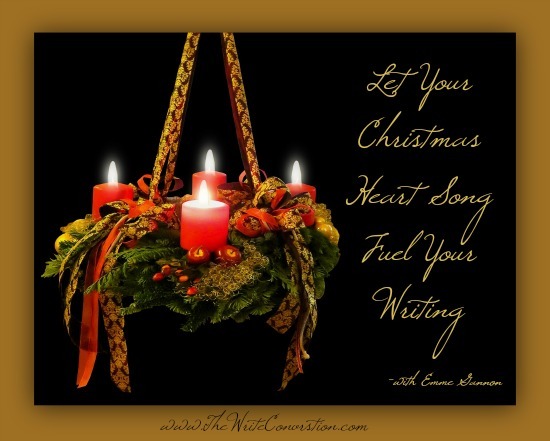 Twinkling lights, traditions, decorations reminding us of family and friends, an excitement and buzz in the stores, and anticipation of reuniting with family members. The holidays can also be a very lonely time. A yearly reminder of friends or family who are no longer here to sit around the table, traditions with no one to share them with, and meals set for one. 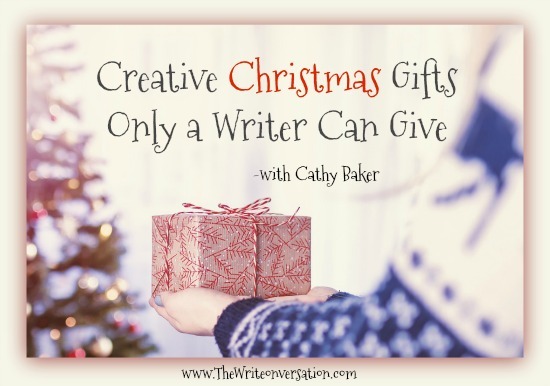 As writers, we have the unique opportunity to give gifts not found on your typical Christmas list. Material gifts gather dust, but words captivate the heart. While most of the gifts below are more meaningful than fun, all are in your wheelhouse waiting to be wrapped and given away.